With each year that passes, researchers continue to make groundbreaking discoveries in the field of addiction medicine. Such revelations can prove to be invaluable for the development of effective addiction treatment therapies. While it is well understood that the disease of addiction resides in the brain, up until the last few decades little was known about how the illness emerged and functioned. Our understanding of how the disease works is light years beyond where it once was, which has allowed addiction counselors to treat those afflicted more effectively. Over the last decade much of the focus regarding addiction research has dealt with opioid use disorder, due to the fact that the opioid addiction crisis in America has reached epidemic proportions. Nevertheless, there are number of other drugs being abused that have the power to disrupt the course of people’s lives, such as cocaine. Not too long ago cocaine use was the focus of concern in the U.S, and while “crack” cocaine abuse is no longer considered to be an epidemic—it is still used by a significant number of Americans. Every day, people addicted to cocaine check into substance use disorder treatment centers with the hope of finding recovery. 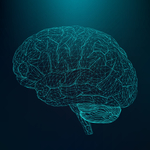 New research suggests that blocking a molecule in the brain, called hypocretin, could reduce compulsive cocaine-seeking behavior, ScienceDaily reports. With funding from the National Institutes of Health's (NIH) National Institute on Drug Abuse (NIDA) and National Institute on Alcohol Abuse and Alcoholism (NIAAA), researchers conducted and published the study in the journal Biological Psychiatry. "Understanding the mechanisms underlying cocaine addiction is important for identifying potential new targets for therapeutic use,” said study authors: Marisa Roberto, Brooke Schmeichel, George Koob, the CNAD chairman currently on a leave of absence to direct the NIAAA and Melissa Herman. "The results of this study would suggest that the hypocretin system could be considered a pharmacological target, with the hopes that such a medication could be used in combination with cognitive behavioral therapies."